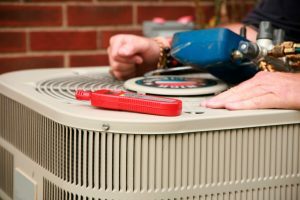 What Do You Need in a Commercial HVAC Service? What makes a commercial HVAC company a good one? It’s when they understand the needs of a business. 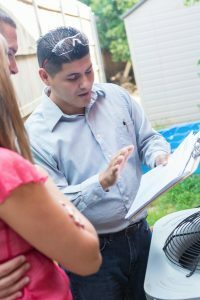 Most HVAC companies are fully equipped to perform residential services, but it doesn’t mean that they know commercial HVAC. Commercial HVAC requires different systems, methods, and strategies for cooling or heating your building with the utmost efficiency. Here are a few services and products that a good commercial HVAC company in North Ridgeville, OH should be proud to offer. 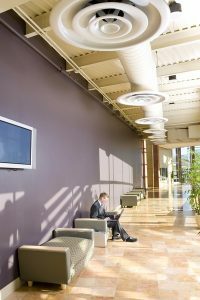 Posted in Commercial HVAC | Comments Off on What Do You Need in a Commercial HVAC Service? We’re in the throes of winter and heating systems are being put to the test like they won’t be for more of the rest of the year. Ideally, your system won’t encounter any problems (which is why we recommend regular maintenance for your heater every fall before the cold weather begins in earnest). Sooner or later every system runs into trouble, however, and when heating repairs are needed, they often are needed now, when the system is under strain from extended daily use. 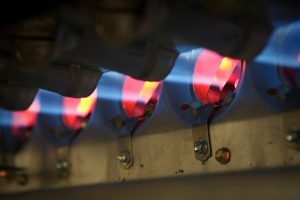 There are a number of qualified heating repair services in the area, and it can be hard to decide which one is right for you. In the end, only you the homeowner can make that call. There are, however, several factors you can use to help make the decision. Cold air is a part of life in our neck of the woods these days, and you’re going to need your heating system to run every day without fail. When it runs into trouble there’s no time to waste. An unexpected breakdown in the middle of a cold front isn’t just a nuisance: it can pose an actual health risk as the cold temperatures turn your home into an icebox in a matter of hours. The good news is that heating systems almost never just break down without warning. Most give out signs and symptoms of trouble that a canny homeowner can spot, allowing you to call in a repair service before the situation gets too dire. Not only does this prevent you from having to scramble after an unexpected breakdown, but it will often reduce the cost of repairs since the damage doesn’t have as much time to spread. Are boilers better than furnaces? Both systems have advantages and disadvantages, and both see a lot of use in our neck of the woods. In towns like North Ridgeville, boiler technology often appears in older homes, while forced air furnaces show up in newer homes. Boilers use heated water to provide heat for the home while furnaces depend on heated air circulated through a series of ducts. Which one is better? That depends. Boilers tend to be more expensive to set up, at least initially. The pipes and radiators upon which boilers depend can be fairly expensive, as opposed to forced-air furnaces which use cheaper and simpler ducts. Furnace also tend to result in less mess when they experience problems (unlike boiler systems, which can spring leaks almost anywhere in the house). On the other hand, boilers often cost less in terms of month-to-month energy bills, since they require less energy to run. Furthermore, they operate much more quietly then forced-air furnaces, and don’t create drafts or cold spots the way that furnaces do. Because they don’t blow air, boilers don’t circulate dust or allergens, and you can utilize zone control much more easily you can with a centralized air conditioner. In terms of efficiency, there is a common barometer that can help determine the best system for you. Annual Fuel Utilization Efficiency (AFUS) ratings measure the efficiency of furnaces and boilers. The higher the rating, the more of the unit’s energy goes into actual heating, as opposed to being lose through waste. You want the most efficient system you can find and the AFUE rating helps you directly compare different systems to determine the best one for your home and budget. So are boilers better than furnaces? Depending on the circumstances, they might very well be. Regardless, however, you need an expert to help you decide. Here in North Ridgeville, boiler and furnace installation can be performed by Westland Heating and Air Conditioning. We can inspect your home and discuss your options with you, to help you decide if one particular technology is better for your home or not. Give us a call to set up a consultation today! Posted in Heating | Comments Off on Are Boilers Better Than Furnaces? If you are thinking about upgrading to a tankless water heater in your Fairview Park, OH area home, call Westland Heating and Air Conditioning. We’ll be glad to help you choose the most cost-effective model for your home and hot water needs. Here’s how tankless models work and some of the benefits. Unlike tank water heaters that use a large tank of water and that have standby heat loss, tankless water heaters provide instant hot water without using a tank. They heat the water on demand – only using energy when you need hot water. They provide energy savings because they both consume less energy and don’t have any standby losses. However, if you have a large home with a big demand for hot water, a tankless water heater might have problems providing all the hot water you need. You should consult with a professional to find out if a tankless water heater is right for your home. A professional can discuss flow rate with you. While tankless units vary in size, their capabilities depend on flow rate and how much hot water is needed. 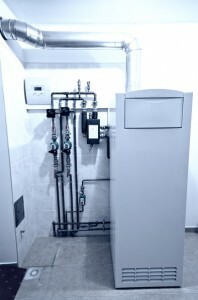 A professional can help you determine your hot water needs and help you select the right size tankless for your home. Another factor to consider is the first hour rating (FHR), which is measured by how many gallons of hot water can be delivered in one hour. Our professional installers will know which size is best for your needs. If you are interested in a new water heater, call the Fairview Park, OH water heater experts at Westland Heating and Air Conditioning to handle all your tankless hot water heater installation needs. A lot of homeowners are looking for more efficient ways to both heat and cool their homes in light of the continuous rise in energy and fuel prices. Still more homeowners are concerned with heating and cooling their homes in more environmentally friendly ways. In both instances, a lot of homeowners wind up coming to the same conclusion. They contact a local Avon Lake HVAC contractor such as Westland Heating and Air Conditioning to learn more about the benefits of a geothermal heating and cooling system installation in Avon Lake. If you are one of those homeowners looking to reduce the cost and environmental impact of operating your heating and cooling system, contact us today. A geothermal heating and cooling system offers a variety of benefits over other heating and air conditioning systems, even traditional heat pumps. While a geothermal system does use a heat pump in its operation, this heat pump does not draw heat from the air around it. Rather, a geothermal loop system is buried on your property and that loop system circulates an antifreeze solution. This allows the system to draw heat from the ground or even a water supply on your property. The benefit to this is the fact that temperatures at this depth are much more constant than in the air, making a geothermal system more dependable and consistent than air source heat pumps. The biggest benefit of a geothermal heating and cooling system may be the efficiency with which it works. It does not consume a fuel to heat or cool your home but rather uses just a bit of electricity in order to transfer ambient, preexisting heat into or out of your home. This greatly improved efficiency allows you to keep your home comfortable all year long, during the heating and cooling seasons, with just one convenient system. The best part is that it allows you to do so affordably. If you want to learn more about the installation or operation of a geothermal heating and cooling system on your Avon Lake property, contact Westland Heating and Air Conditioning today. Our geothermal experts can answer any questions that you may have. Let us help you heat and cool your home more efficiently.